Solbiate Olona (VA), 14th December 2016. Even this year NRDC-ITA Women’s International Club (NIWIC) organized the Christmas Bazaar at “Ugo Mara” barracks. This year, the 6.000 euros raised will be donated to “Società Agricola la Stella”, a horse therapy centre in Legnano, working to support disabled people since 1996. During the bazaar, NIWIC organized a lottery and an auction. 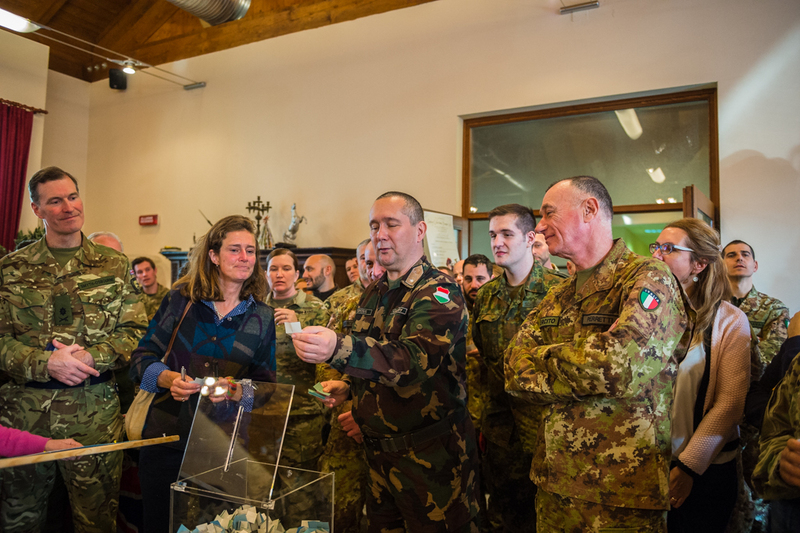 Within the lottery’s prizes there where thirteen baskets with gastronomic specialties from each of the 12 contributing nations of NRDC-ITA and one from Norcia, a town in central Italy, hit on last 30th of October by a devastating earthquake.